Today, I am sharing one of my Summer Beauty Tips on Whitneynicjames.com. Hop on over to check out this awesome collab with 9 other bloggers all sharing Summer Beauty Tips. A beautiful look, indeed. I love how you look so incredible on a budget. Just goes to show that great fashion sense doesn't require spending loads of money. Totally agree with Glenda comments. You always look amazing Adrienne!!! 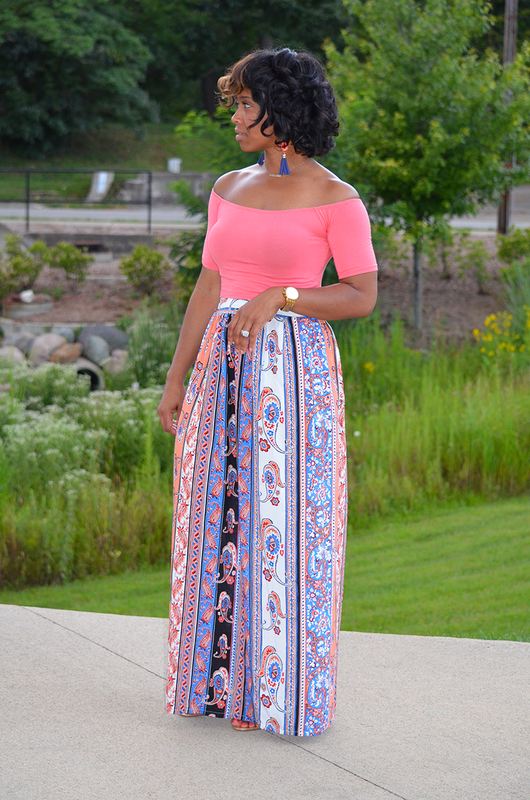 Awesome look and a great price....so I hopped right over to SheIn and ordered the skirt. Very pretty look! Love the print of the skirt. Great Post and love this look..
You look Fabulous on such a small buget and that smile is worth a million. What a beautiful look my friend! You always bring it! And people think you have to spend a lot of money to look great!!! I really like this look!!! LOL.. yay Snoootty. 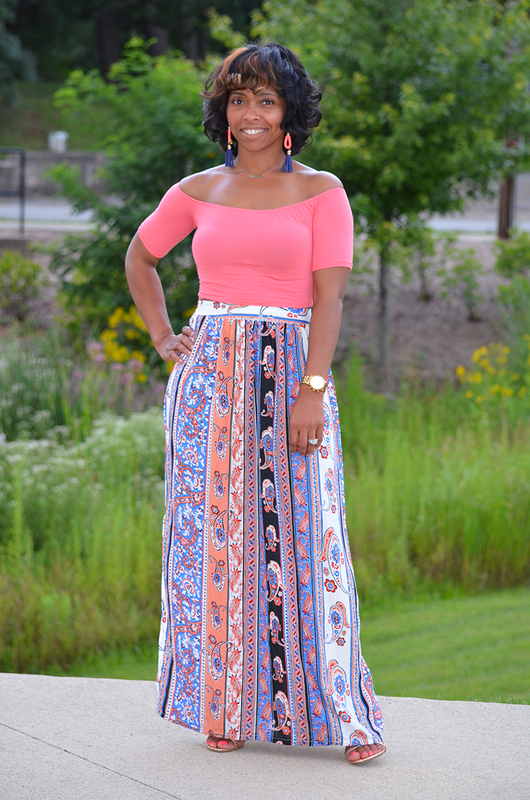 you'll love this skirt.. promise you that.